Quite Cloudy by Scott Cameron: What Does Pinterest Have to Do With Cloud Computing? What Does Pinterest Have to Do With Cloud Computing? Most people would say nothing. I'd say they couldn't be more wrong! Social media beware! 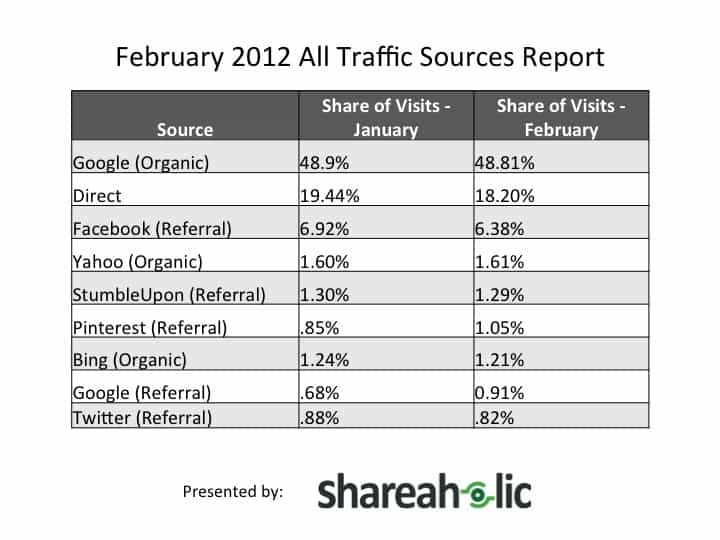 A new study by Shareaholic digs in to their February 2012 All Traffic Sources Report to find that Pinterest has surpassed Twitter for internet referral traffic. That's amazing considering the sheer amount of traffic that passes through Twitter, how entrenched it is as a cornerstone of social media communication and how new Pinterest is - until last summer it was run out of a small apartment! So, what does Pinterest have to do with Cloud Computing then? Everything! Pinterest is all about linking images in the cloud with descriptions and sharing like items together on a "board." This allows posters to categorize and make sense of the massive amounts of information floating around in the cloud. It's a way to make all that stuff we find through Google, Bing and Yahoo more useful... more easily digestible. So, how am I using Pinterest? Since I am an Office 365 Solutions Consultant at Valorem Consulting Group, I am using it to organize Office 365 data I find across the internet and on Microsoft's websites. I'm linking screen captures of many of Office 365's interface pages, I'm embedding training and marketing videos and I'm posting up blog articles, news items and brochures. I am then commenting on those items and linking back to them in articles such as the one you're reading right now! Check out how I've begun using Pinterest at http://pinterest.com/quitecloudy/. Pinterest is an important advance and a taste of what is to come... more intelligent ways to discover and consume relevant information in our ever expanding cloud of Big Data.